In June 2015, I was diagnosed with cancer, and was given between 4 months and 2 years to live. Against all odds, I beat it. Sadly, it has come back, and I have been told I have just several months left to live. No one with cancer has ever reached the summit of Mount Everest before. I'm determined to prove anything is possible, no matter what your situation. Starting in April 2017, I aim to become the first to achieve this feat, but I need your help to raise money for the trip by March 1st. I aim to raise £250k for Macmillan Cancer Support. The first £29,275 raised will be used to fund the expedition, with the remainder being donated to Macmillan Cancer Support. I also want to inspire anyone living with cancer to go and do that special thing they've always wanted to do. Of course, that thing might not be climbing a mountain. It could be finishing that book you've always said you would write, learning a new skill, or taking that dream trip. I've always had a strong passion for adventure and discovering new challenges. My time in the military enabled me to seek new adventures around the globe; I've previously climbed in the Himalayas for 3 months, and I've walked across Iceland, solo and unsupported. Climbing Mt Everest would be the pinnacle of my adventures, as it's been a dream since I was a child, and on my bucket list as an adult. Thank you for your donations, and please tell your friends about my challenge. 111 Collectiff are working closely with my campaign to oversee and support the whole project, kindly providing all their services free of charge. 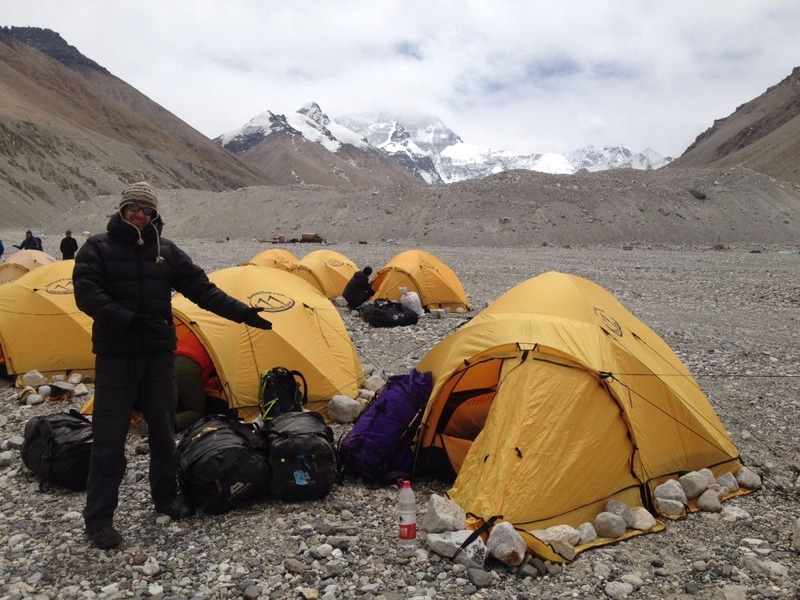 Just a quick update from Mount Everest! I'm here, and still going strong- thanks to all your help so far, I wouldn't be here without you! 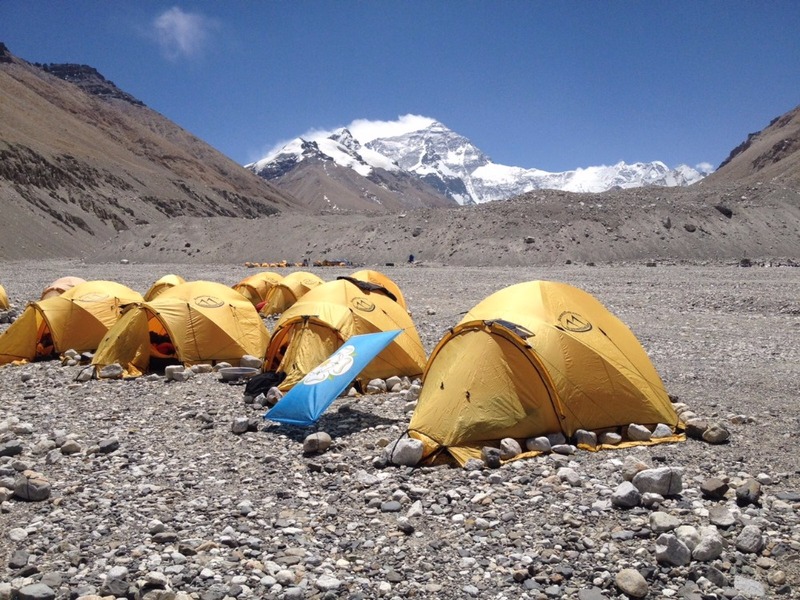 Here's a couple of pics of our first stop, Everest BaseCamp. We've now climbed past this, up to C1, where this climb gets even harder. A month now of acclimatising, climbing up and back down again, hopefully to prepare us for the final ascent at the end of May! Please keep doing your bit, it's all about raising money for Macmillan Cancer Support now, so please give what you can! Saw you on the TV news tonight .well done on your achievements proud to be a fellow owl.all the best for the future.you are one brave guy. A massive well done Toots from 75 Engr Regt Wo's and Sgt's Mess. An awesome effort!! !